Custom apparel provides you the ability to distinguish your brand from your competition, while providing an excellent look. No matter what styles are going on in your industry, custom apparel lets your create something custom and one of a kind. It will be something no one else has. 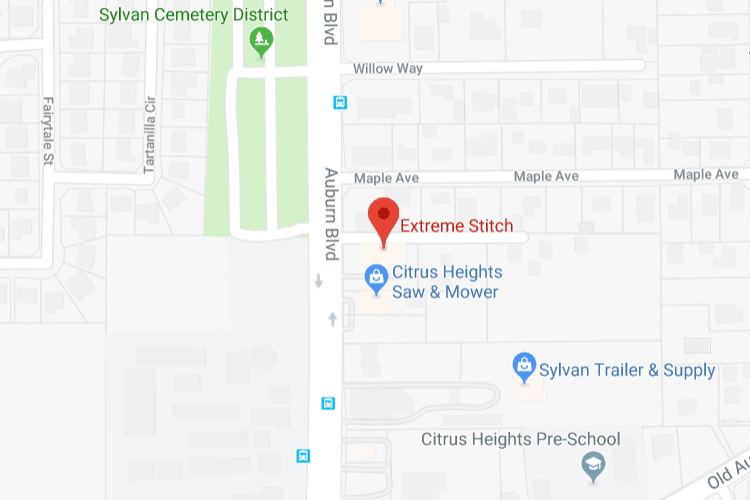 The owners of Extreme Stitch Embroidery we have been working with customers throughout Central and Northern Sacramento Valley region for over twenty years. We can help you take your concepts from ideas to reality.